Its dome is a Glasgow landmark, and it’s one of the largest libraries in Europe, but the Mitchell Library is my writing haven most Wednesdays. I find a comfortable spot among the books and I settle in to write without distraction. I love libraries. I love that in every binding, behind every cover, there are new ideas to be discovered, new worlds to explore. I love the space they give for reading, thinking, and (very valuable to a PGR) writing. But most of all, I love libraries because they inspire me. I’ve always enjoyed reading for pleasure, borrowing books and chatting about them, the social bonds created over fiction, and the connections found in the pages of characters that opened my heart and my mind. As a queer girl growing up in a clearly defined heteronormative environment, books also a provided a safe space in which I could listen and learn and grow, and I was inspired by books like these to find my voice. The main library in my hometown (in North Carolina) was not particularly welcoming or friendly, having fallen into disrepair and disuse in the 70s and 80s; you never knew what you would find. One was more likely to chat with a homeless man camping out in the history stacks than you were to find the needed materials for a school research paper. 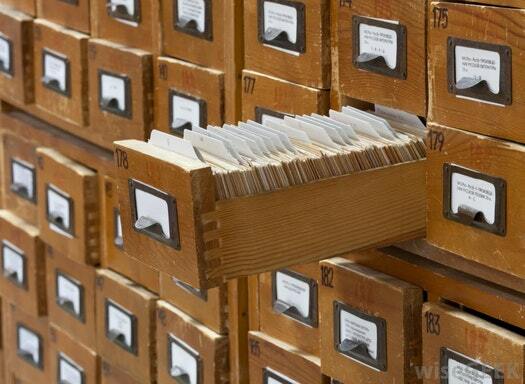 In the prehistoric (read: pre-Google) library world, there was the magnificent card catalogue – rows and rows of arm-length wooden drawers that held the secrets to the universe in Dewey Decimal format. Memories of this literary treasure hunt method still give me warm fuzzies. The stiff awkward balancing act of the drawers, the tiny pencils and small index cards, often with hand-written (gasp!) locations of the books you were seeking. The crushing feel of defeat if the book were missing, damaged, or being used as a pillow for a drug addict sleeping one off in the geography section. The rush of victory and excitement when you found the very book you want to read. As a PGR student living abroad, libraries are still welcome spaces that inspire me - often to re frame my own work in sometimes interesting ways. I think about the value of the preserving and learning from the past as it connects to the brilliance and possibility of the future. Like the books that inhabit them, libraries come in all shapes and sizes, and every time I travel, I seek out special or unique libraries to visit (and take unabashed library selfies). The State Hall of the Austrian National Library (in Vienna) is one of the world's most beautiful historic libraries in the world. A baroque style Habsburg funded marvel, it’s famed frescoed domes were not as cool to me as the hidden reading rooms lurk behind moving walls of bookshelves. In Prague, there is a wee library founded as early as the 12th century nestled in the Strahov Monastery (near Prague Castle) that houses not only beautiful books but some rather amazing artifacts, including a blue footed boobie and a field notes from one of Darwin’s Galapagos journals. I love the great variety and beauty of the books themselves, as well. The library at Dublin’s Trinity College, which houses the incredible illuminated manuscripts and the famous Book of Kells, should be on every bibliophile’s wish list. But you don’t have to travel that far to find a library, cool book-related exhibits, and writing encouragement. Glasgow libraries are great place to find inspiration, surrounded by the love of words. Our own UofG library, while often a busy swirl of academic activity, also has plenty of nooks and crannies for contemplation and study. Want to find out more? Book a tour of the UofG library and get in the know! The massive reading room of the Mitchell is closed due to renovation needs, but the library itself is sprawling and alive with possible points of engagement, including the #MitchellCurious exhibit series and other of events in addition to plenty of work spaces. So whether you are traveling across Europe or just across town, check out the library!